The image displayed is that of a structure of an abacus. 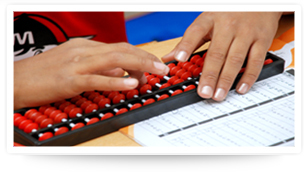 An abacus instrument allows performing basic operations like Addition, Subtraction, Multiplication and Division. It can also carry out operations such as counting up to decimal places, calculates sums having negative numbers etc. Dr. Toshio Hayashi, Director, Research Institute for Advanced Science and Technology (RIAST) is of the view that, starting abacus learning at a very young age, is useful in activating the brain of kids. 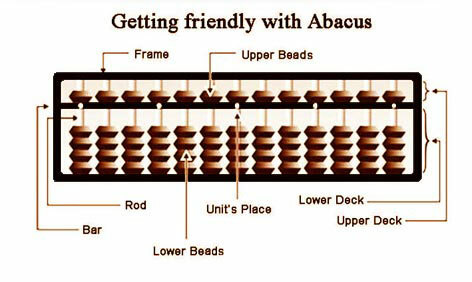 When a child works on abacus it uses both its hand to move the beads. The finger movement of both hands activates the sensors of brain, the right hand coordinates with left brain and the left hand coordinates with right brain. This facilitates the functioning of "The whole brain" and helps in added intellect, thereby creating 'child maths prodigy'. Visualization: Ms. Kimiko Kawano, Researcher, Nippon Medical School, Center for Informatics and Sciences, is of the opinion that abacus users simply visualize an image of abacus in their head. They do not replace the image into words. This difference can be seen clearly in the EEGs. Concentration: Decker Avenue School, California conducted a research on the effects of abacus training on children in the classroom. The study indicated that increased concentration of the abacus students was one of the pre-dominating effects of the training program. Logical reasoning: Ms. Shizuko Amaiwa, Professor, Shinshu University, observed that advanced abacus learners were found to have received desirable effects in solving certain types of mathematical problems compared to non-abacus learners. In addition, a positive effect was seen, not only in mathematical problems with integers and decimals, but also in those with fractions, especially when higher level of logical thinking is required to solve them. Recall: Ms. Kimiko Kawano, Researcher, Nippon Medical School, Center for Informatics and Sciences, has stated that, “some abacus experts use their ability for memorizing whole page of textbook or years in history. 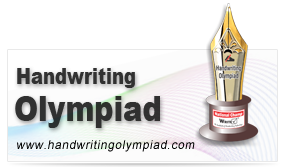 The ability developed by abacas can be used effectively in different ways” such as the capability to recall.